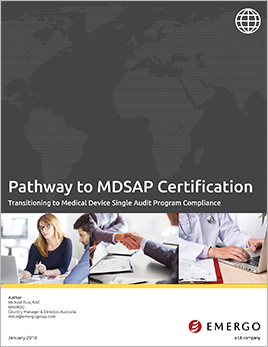 As the first year of its operational phase ends, the Medical Device Single Audit Program (MDSAP) is finally gaining traction among medical device manufacturers. More manufacturers are expected to participate in MDSAP in 2018, particularly as Health Canada’s compliance deadline of January 2019 approaches. Download our 8-page white paper to learn more about transitioning to the MDSAP.